This event took place at 07:30PM on 10th February 2018. Find out what else The Hippodrome Casino has on offer. Colin Roy’s exquisite voice, charismatic and immaculate appearance superbly captures the magic and evokes the genius of Nat King Cole, whose songs have spanned decades, touching and romancing many generations with his far reaching genre of music. Nat King Cole was a truly remarkable character, his big break came in 1943 when he was signed to the newly formed Capitol Records. Nat soon became Capitol’s most successful recording artiste and their premises – the Capitol Records Tower on Hollywood and Vine eventually became known as The House That Nat Built. First premiered at New End Theatre in Hampstead, The Nat King Cole Musical Revue takes you on an exciting musical journey sharing some of Nat King Cole’s fascinating life story with the injection of some rib tickling humour. From the wealth of material that Nat King Cole recorded, this outstanding production brings you over twenty six beautiful ballads and foot tapping numbers. Classic songs including Let There Be Love, Smile, When I Fall In Love, Nature Boy, Autumn Leaves, L-O-V-E, Fly Me To The Moon, Stardust, Let’s Face The Music & Dance, Around The World, Answer Me, Too Young and Mona Lisa. Directed by Danny John-Jules (Red Dwarf/Death In Paradise). 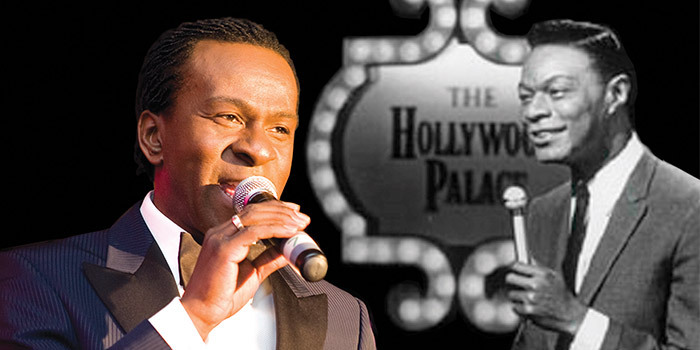 The shows script is authenticated by Roy Holmes who heads the Nat King Cole International Fan Club and was featured on BBC TV documentary The World of Nat. Acclaimed West End performer Colin Roy with special guest artistes and his outstanding musicians skilfully led by Steve Hill brings you a truly Unforgettable evening.